Lilly Pulitzer Rousseau celebrates her 80th birthday this year. You’re invited to The Preppy American Brunch to help Lilly Pulitzer celebrate in style. 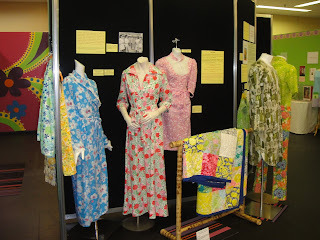 The event will be held on November 12, 2011 at 11:45 at the Museum of Lifestyle and Fashion History. Mary Lane is the Lilly Ambassador who promotes her love of all things Lilly as she visits stores across the country wearing her Lilly. Her favorite style dress is the classic shift dress with bows on the side. She looks gorgeous with Lilly Pulitzer at an event earlier this year at the museum. The guest of honor will be at the brunch to meet and mingle with the guests. Some special surprises are planned including wonderful silent auction items and swag bags. Gordon from In The Pink may even have a special surprise for Lilly on her special day. Information regarding tickets and accommodations is available here. Even if you are not able to attend this event, I will keep you posted on how to sign an online birthday card for Lilly Pulitzer. The online greetings will be bound into a book that will be presented to Lilly at her birthday brunch. The For the Love of LILLY exhibit has been organized and developed by the Museum of Lifestyle and Fashion History and is on display August 3, 2010 thru the end of November 2011 at the donated location for the Museum of Lifestyle and Fashion History. 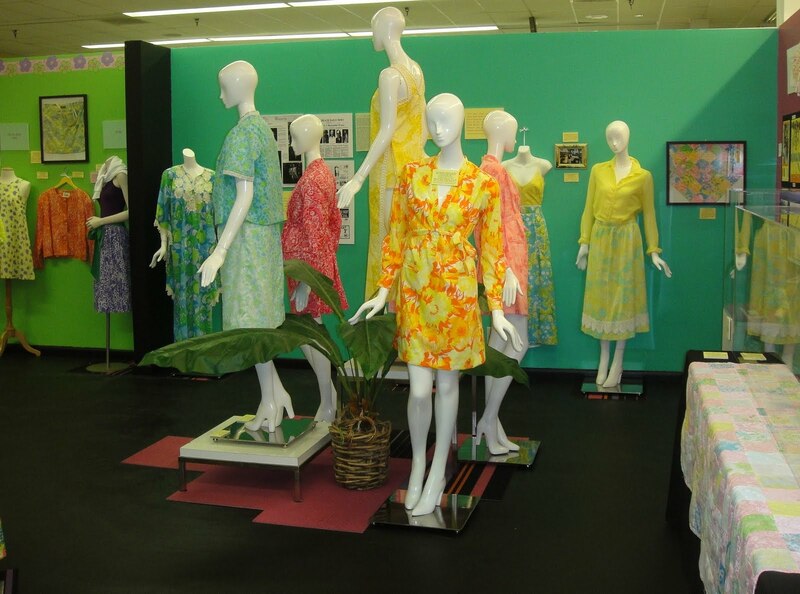 Nearly 80 vintage Lilly Pulitzer items for women, men and children; fabrics, accessories; a limited edition Lilly juice carton and animal crackers; galoshes, cocktail trays and napkins; and photos have been provided by more than 20 collectors from throughout the USA and the State of Florida. So mark your calendar, book your flights, and join the party! While you're in town, you may want visit Nancy's Vintage Warehouse in Palm Beach. 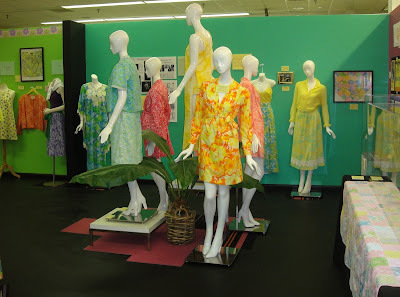 Nancy has a great collection of vintage Lilly fashions and her shop is a must for those that want that special vintage dress. Nancy is working with Mary Lane on the committee to plan the birthday party. Thanks to Mary Lane for speaking with me about this exciting event! She's such a lovely woman. No need to wait until November. 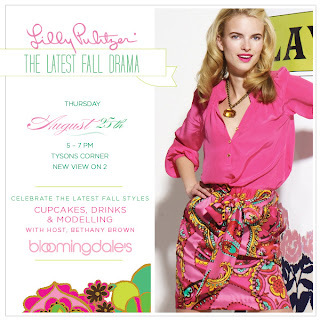 Get in gear for fall Lilly Pulitzer fashion at an event I am hosting next week at Bloomingdales. You can find all of the details for the event here. Guests will enjoy cupcakes, drinks, a mini fashion show, in addition to special gifts and a gift with purchase. Hope to see you next Thursday at Bloomingdales and in November in Florida! OMG! Should we go, Bethany? Oh my goodness this sounds amazing!! If only I were closer I would pay so much to be able to attend that! I'm hoping to be in attendance as one of my pieces in the exhibit! Oh my goodness, what a fabulous event! I'm sure it will also be the most colorful event of the season, with everyone clad in their Lilly brights! That's so exciting! I'll be there, too, so it will be nice to see you in person. Now we just have to think about what we should wear! I know, it's nervewracking isn't it? :-) And it will be nice seeing you too. I'm trying to get a table of ten together of both blog friends and locals from my part of Florida! on the lookout for my post. I've been lagging since Mrs. Malone emailed me, but I'm getting ready to announce it on my blog soon as well.